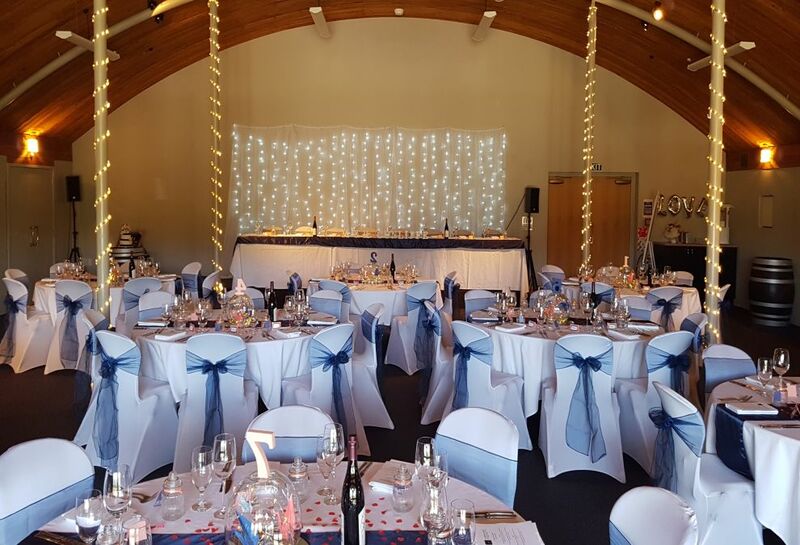 For truly memorable weddings in Blenheim, surrounded by the natural beauty of the vineyards and mountains in the distance, Heritage Collection Marlborough Vintners Hotel is the perfect venue for your special day. The Barrel Room at Marlborough Vintners Hotel is an elegant room with french doors opening onto the Richmond Ranges. Or for a garden wedding, tie the knot in the rose garden surrounded by manicured lawns and native gardens. Take stunning wedding photos amongst the charming surroundings of vines, avenues and gardens. Our dedicated team will assist you in creating the wedding of your dreams, taking care of all details allowing you to enjoy your special day. From tailored menus, handpicked wines and exquisitely dressed rooms, no detail is overlooked. Our purpose built Barrel Room is a stunning setting to hold your wedding and is 224 square metres that can hold 120 guest in banquet style.